Perfect pair of manicure scissors is a necessity for any spa, salon or home. Use this product to trim the nails and cuticles during a manicure. 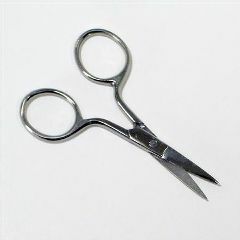 The solid, stainless steel construction makes them stronger and more durable than any average pair of manicure scissors.